Collaborative Divorce NJ Philip C. Puglisi, LLC. The Collaborative Divorce Process is a relatively new way in which the parties may get a divorce. Although it has been around for years, I say relatively new, because it is only during the past decade or so that the process has been recognized and utilized to any degree. The Collaborative process is an alternative to a contested or litigated divorce that proceeds through the court system. • A level playing field is established where neither party is disadvantaged and where a forum exists with much less emotional stress, fear or anxiety. In the collaborative process, the parties are represented by counsel but at the outset sign a “Participation Agreement” wherein the promise to affirmatively and amicably move toward a resolution of their issues. Everything in the process is transparent and open, and all is “laid out” on the table. By way of example, instead of one party having to compel in Court the other party to produce financial documents so that appropriate asset distribution and/or alimony can be determined, everything is freely and voluntarily submitted thus avoiding the very expensive and time consuming process of proceeding in Court to compel the other party to do this. Another brief example: many times during a litigated case, one party refuses to provide adequate support to the other party while the case is pending. As a result, the attorney for the disadvantaged spouse would apply to the Court for pendente lite support and other relief. This is also an expensive process. Another major advantage of the collaborative process, is the children always remain a top priority. The parties are committed to reaching a resolution that enhances the advantages to the parties’ children. I have been a member of the North Jersey Collaborative Law Group for years. I am also a member of theInternational Associates of Collaborative Law Attorneys. I have extensive experience as a Bergen County Collaborative Divorce Attorney and Passaic County Collaborative Divorce Attorney to represent clients in the collaborative process. The difference between Collaborative Divorce and Divorce Mediation. In the Collaborative Divorce Process, from the outset, attorneys are involved representing the husband or wife. In divorce mediation, spouses are essentially negotiating on their own, facilitated and guided by the specially trained mediator. The mediator cannot provide legal advice or advocate for either party. If you are more comfortable with having an attorney at your side throughout the divorce process, then the collaborative route would be more appropriate. If you feel you only need to have the attorney consulted from time to time, or at the end of the mediation process, mediation might work for you. In either case, the parties must be committed to work towards a resolution of all the issues. Frankly, sometimes this is just not possible, either due to bitterness, anger, or the refusal of one or both parties to act reasonably, thus requiring litigation through the Court system. Another advantage of the collaborative process is the use of mental health professional to aid and guide the parties through the divorce which is especially helpful when there are children involved with possible issues of custody and parenting time. These professionals are highly trained in the collaborative process as well and actually sit in at meetings between the parties and counsel to offer their assistance, make proposals and aid in the overall resolution of the matter. 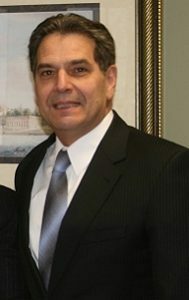 The Law Offices of Philip C. Puglisi has extensive experience in handling Collaborative Law Cases in Bergen County and Passaic County and all Northern New Jersey. I suggest you immediately phone my office for a FREE CONSULTATION to review in detail the entire process.